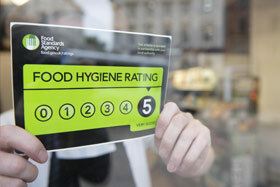 Achieving a Food Hygiene Rating of 5 is a great achievement and will benefit your business. 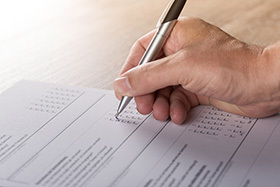 With the national publication of food hygiene ratings customers are now choosing where they want to eat based on this rating. Why not give your business a competitive edge? We can offer a comprehensive set of training and consultancy services to support you achieve and/or maintain a Food Hygiene Rating Score of 5. Whilst we are based in Wolverhampton, our services are available to any business who wants the benefits of achieving a food hygiene rating of 5. Several packages are available which have been designed to help both newly registered/start-up food businesses aiming to achieve a high star rating and established businesses, looking to retain or boost their current score. In addition the tailored package can provide you with advice specific to your business needs. 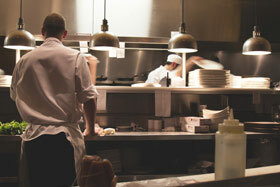 Increase your chances of receiving or retaining a high food hygiene rating. Give you reassurance and boost your confidence. Save your business money	. A video showing why food hygiene ratings are important & how the council can help you achieve that all important food hygiene rating of 5. Save money by receiving advice on procedures and equipment that you need – specific to your business. Ensure you and your staff are adequately trained to work directly with food.